Home / Modern Pest Blog / Uh Oh! Wasps in the Walls! Uh Oh! Wasps in the Walls! Honey – what’s that noise? …It’s a weird buzzing sound coming from the walls. Maybe you have had a similar conversation at home? Perhaps you have even seen some of them buzzing around the inside of your home? You might be tempted to go to your local hardware or home supply store and buy a can of aerosol and start spraying it into every nick and cranny around your house – but think again! 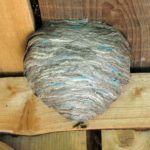 Stirring up the nest means lots of aggressive wasps – in your home! And it is true; wasps can sting more than once! On the other hand, allowing wasps to remain as permanent house guests does not make for a good alternative. Not only are you and your family at risk of being stung but the damage that is likely occurring inside your walls could become very costly to repair. What are the best wasp removal options? In short, calling a pest control professional is really your best bet. 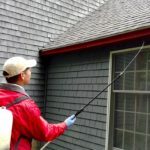 For instance, at Modern, we have a team of licensed and trained technicians that have specialized equipment, like a bee suit, as well as the knowledge to minimize risks to you, from both the wasps AND the materials used to eliminate them. A pest control professional will pinpoint the nest location, and carefully make a targeted application; minimizing the amount of materials placed in and around your home – giving you peace of mind. best to prevent future infestations. Can the hubby do all that? 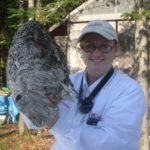 Perhaps – but when it comes to wasp issues, you are more likely to be satisfied with the outcome the first time, when using a professional, than if you were to try to tackle the problem on your own. The truth is, wasp and other stinging insects are only a pest if they have invaded your home and yard. 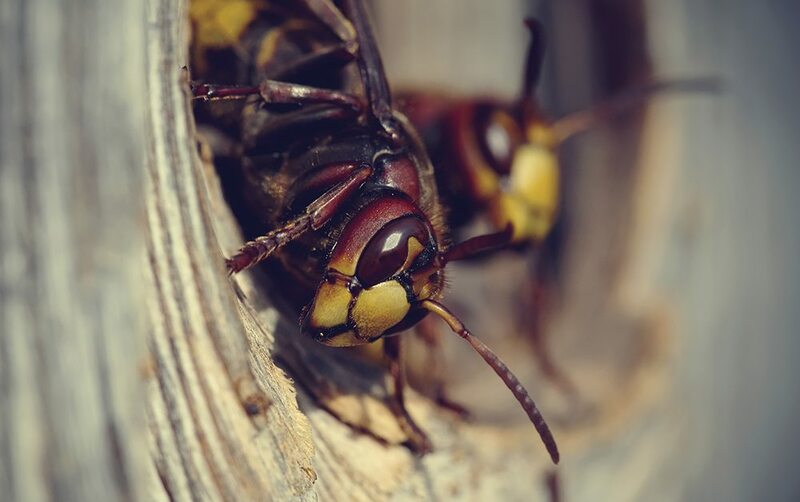 If you feel like your home is off limits because of wasps, call a pest control professional. Modern specializes in wasp control all over Maine, New Hampshire, and Massachusetts. Our service pros are knowledgeable and able to get wasp issues under control. If you need help with wasps in your home or your yard, contact Modern Pest Services.